For my son's tenth birthday, we drove down to Legoland, California to celebrate. 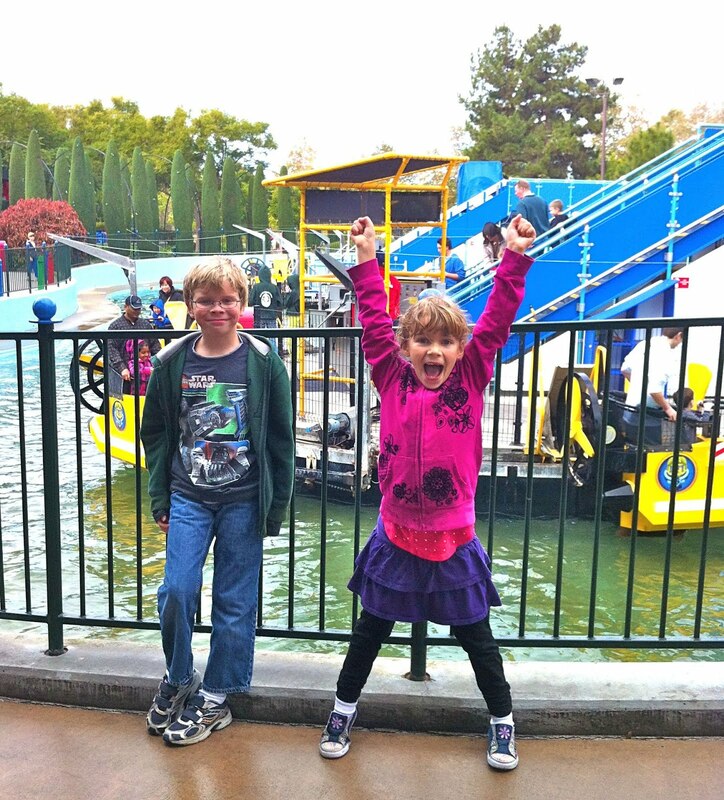 We had a blast there! 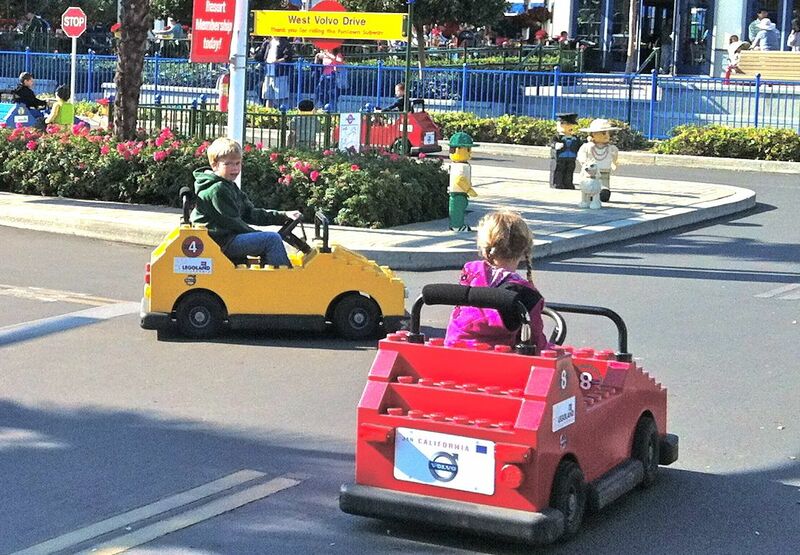 Kids can learn to drive a real electric car and earn their official Legoland driver's license. The kids loved driving their cars all by themselves around the Lego neighborhood. 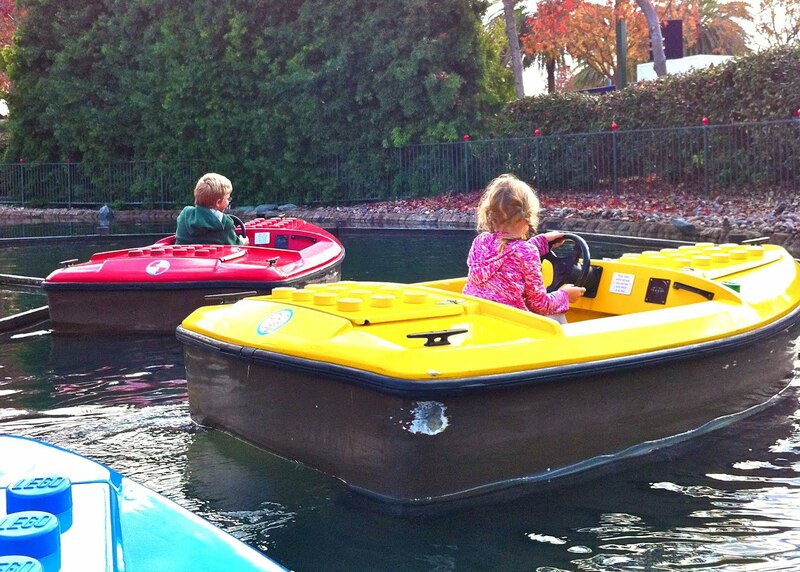 Learn to maneuver your own boat around the course. We let the kids pilot their own boats along the course while we followed them in our own boat. 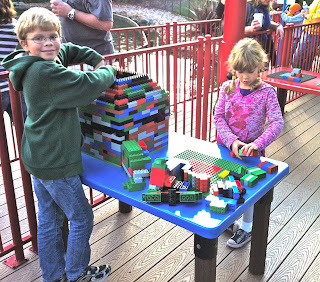 While we parents wait in line for a ride, the kids have fun building on Lego tables. Note: This is Sam's favorite ride. 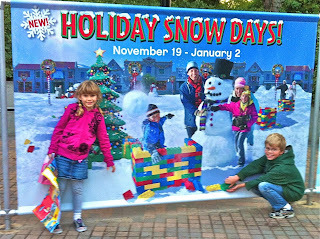 Kids and adults can play in an area filled with real snow. You can decorate a snowman with giant Lego pieces, throw snowballs at targets, and tobaggan down a small hill. This is only available from November 19th to January 2nd. We all enjoyed this little slice of winter! You can also get your photo taken with Lego Santa during the holiday season. 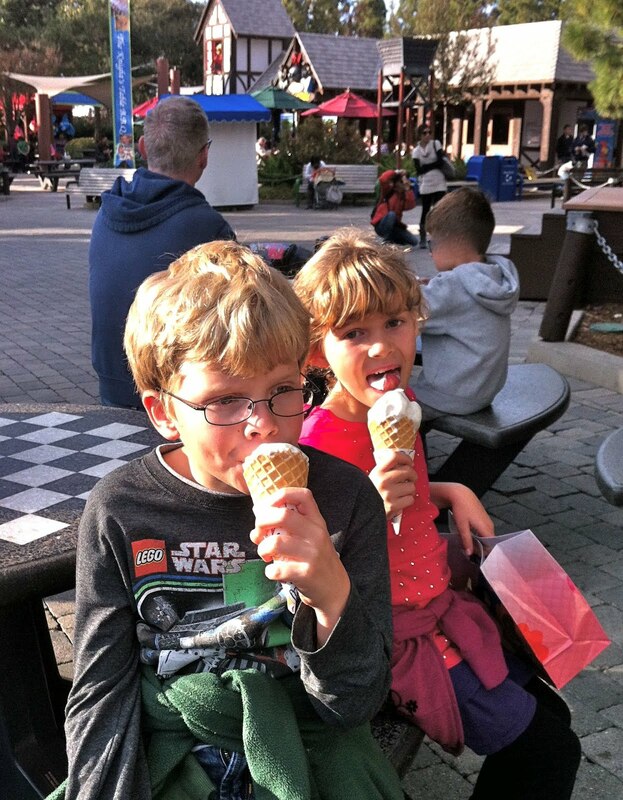 Get a refreshing ice cream cone (they offer holiday flavors, too) and coffee here. They don't have Starbucks in the park, but their coffee is very tasty! As soon as you get to the park, sign up to do the Lego MINDSTORMS activity for later that day (for 9 year olds and up.) 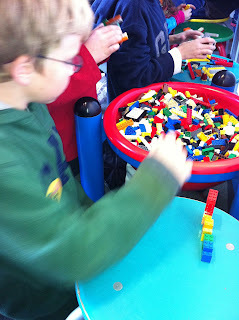 While waiting for your turn, build something cool with Lego blocks. 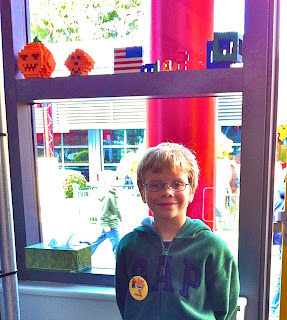 My son built his name (Sam) and then was allowed to place his blocks in the window at the entrance to the MINDSTORMS building. We'll have to check the window next time we visit to see if his name is still there! 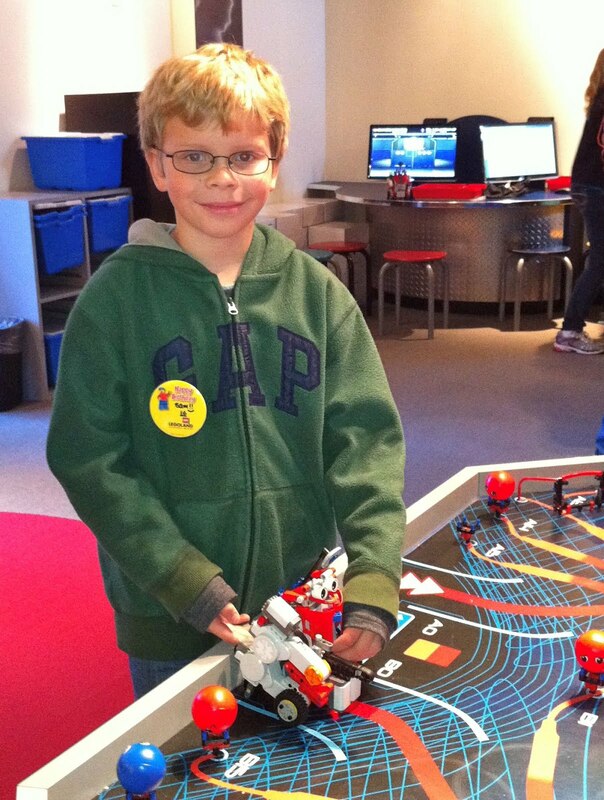 Walk through an interactive Lego rainforest, Egyptian tomb, and Arctic landscape and search for giant Lego keys. 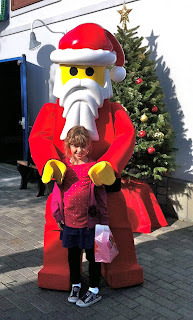 (It can be a bit dark and scary in places for the younger kids.) 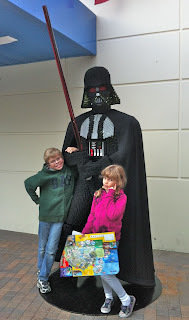 This is my kids' favorite attraction at Legoland! You need to be able to reach the pedals to ride on this one by yourself. 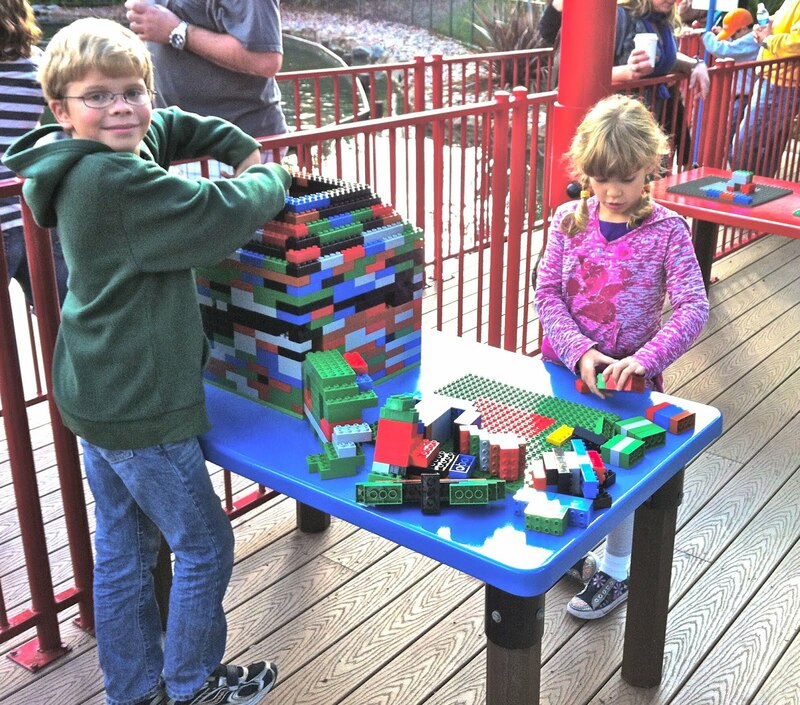 This ride gives you a nice view of the park, and it's fun to pedal your own Lego vehicle along the track. Good exercise--a bit like a stationary bicycle. 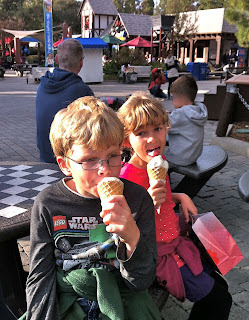 My kids love pulling on the ropes to raise their chairs up to the top of the poles. The "free fall" when you let go of the rope is very gentle. 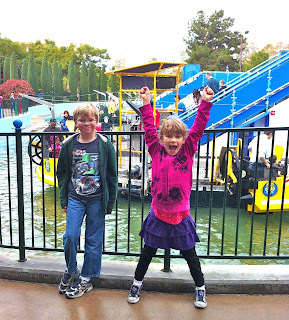 The lines were short, so the kids went on this ride over and over again. Good exercise for the arms. We always buy our lunch here. The kids can get a Kids Meal with a cool bag (in pink or blue.) While you're eating lunch, it's also a good central spot to look around at the park and plan out your afternoon. The Fun Town stage is also nearby. Overall, I'd say if you have young children (under about 12 years old), they'll enjoy this hands-on, kid-friendly park. And they don't need to know anything about Legos to enjoy it!